Kerala Tour Packages and Kerala Honeymoon Packages are the right options by Green Hope Tourism for anyone who wants to explore the unmatched beauty of Kerala, God’s Own Country. We offer you a number of Kerala holiday packages for families and couples to enjoy the natural beauty of Kerala. 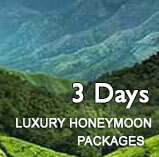 We offer you an unmatched service for your Kerala Tour Packages and Kerala Honeymoon Packages. Rest assured we will have an eye on every details and will make sure that you have an ever memorable time in Kerala. .
We had a very satisfying honeymoon to Kerala through Green Hope Tourism. They were very friendly and professional. The deal was value for money, we will surely recommend Green Hope Tourism to anyone who are planning a Kerala trip with out any hesitation. This is the first time we traveled to Kerala.The trip was really awesome. It was our honeymoon trip we have enjoyed the stay in Kerala through Green Hope Tourism.We stayed in fantastic hotels and the ambiance was amazing the cab driver was really good in terms of taking us to various place and took us safely and we enjoyed the journey. I welcome you to Kerala, truly “God’s Own Country” in all sense. Green Hope Tourism will do the best to make sure that you have the best experience in Kerala. 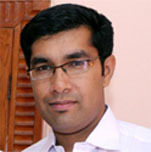 We help you to design the best Kerala experiences. I personally believe in the concept of customers for life. Our major part of business comes from referral sources and repeat customers. 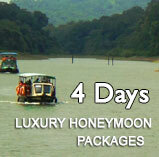 We offer you the tailor made Kerala tour packages and honeymoon packages.